Are you already exhausted from your holiday shopping? Maybe you need to take a break and gather up some holiday decorating ideas instead! 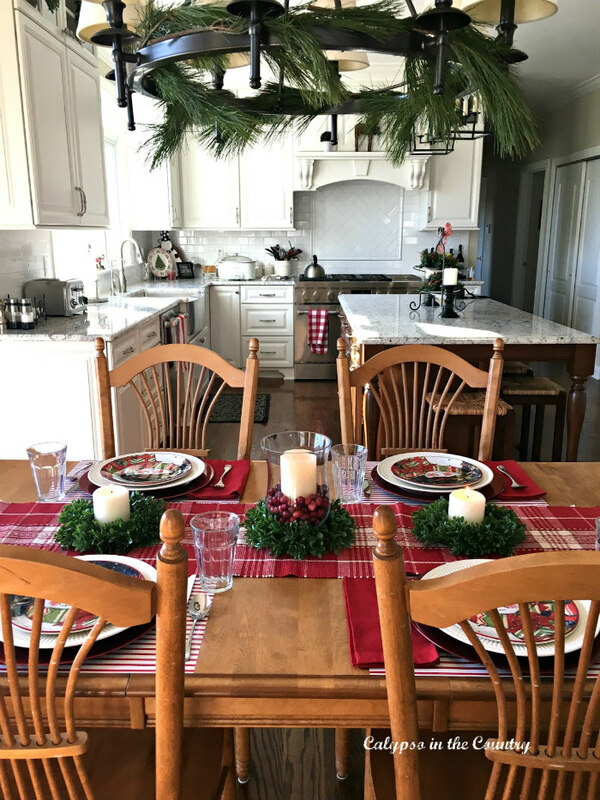 I have gathered up five of my favorite colorful Christmas table settings from previous years to inspire you this season. Just click the link below each photo to bring you to the full post where I have listed more details and sources. I hope all my colorful table settings inspired you to create something beautiful in your own home! What colors do you use for Christmas? I love all of these! They are all inviting and festive! 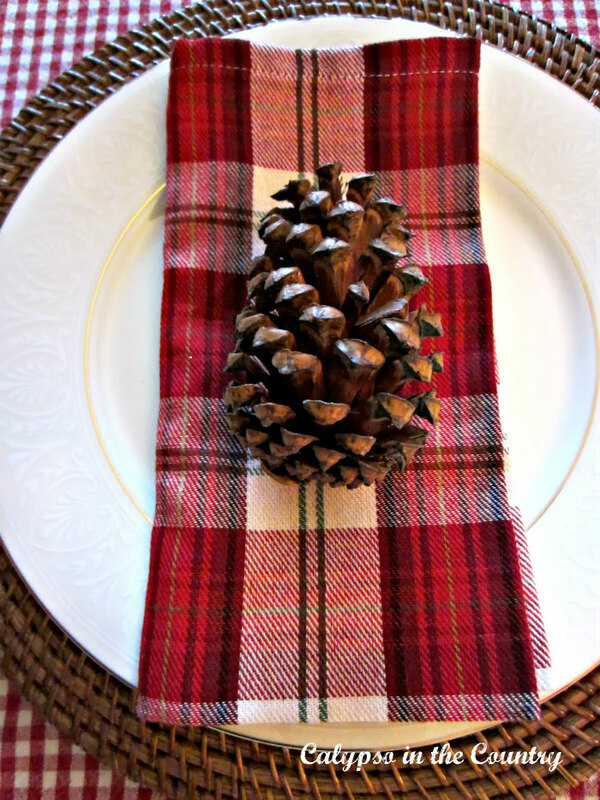 Plaid and buffalo check are my favorite all year-round, but especially at Christmas! 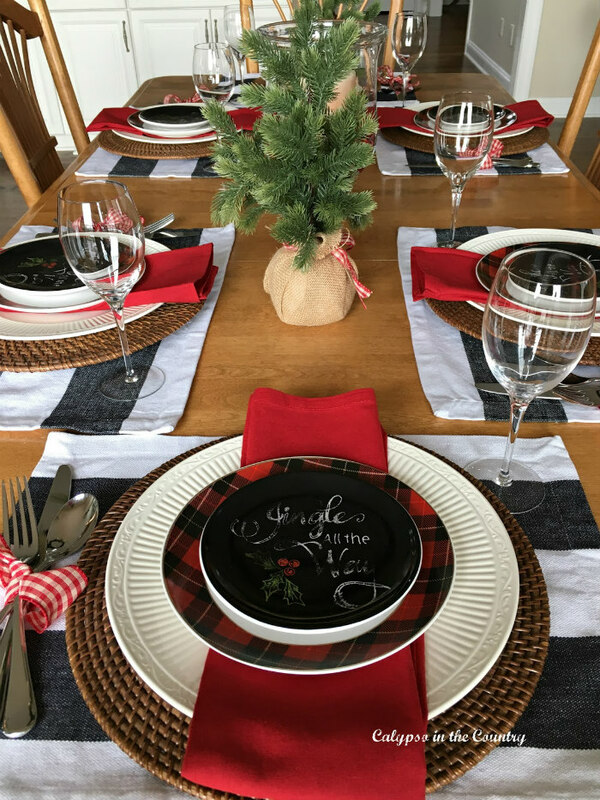 Thank you for these inspiring Christmas tables! Thanks so much, Kristine! I love using a lot of color in my holiday decor. Thanks for stopping by! These are all so pretty, Shelley! I love reds and greens for Christmas, but I often use blue and silver too as it fits in with the decor in my house. Pinning this post. It’s very inspiring! Thank you for sharing, and for being a part of the Hearth and Soul Link Party. Hope you are having a great weekend! Thanks so much, April! I love using color at Christmas! Blue and silver is so pretty together too. Also – thanks for pinning! Shelley you do such great tablescapes. 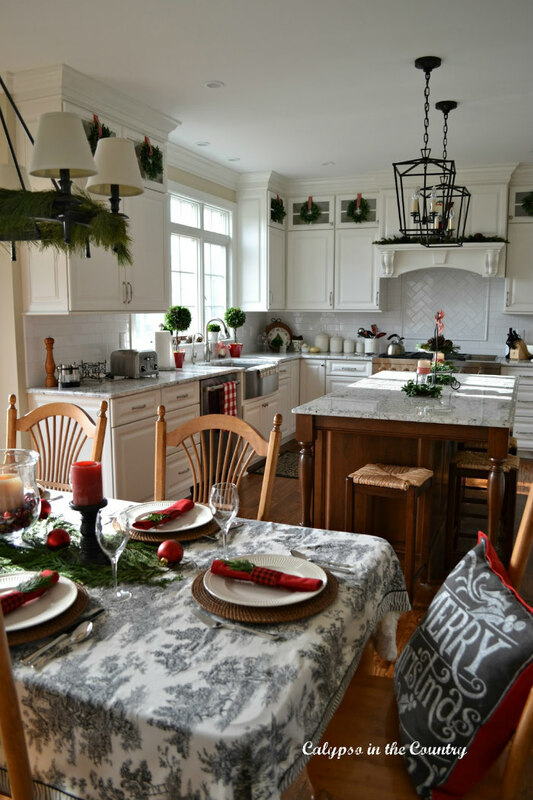 Love the little wreaths you hung on the tops of your cabinets too! I haven’t even broken out the Christmas decor yet this year, time to get moving! Thanks so much, Lisa…you made my day! I am slow with Christmas decor this year as well…too much going on. Thanks for taking the time to comment! Love your table settings. 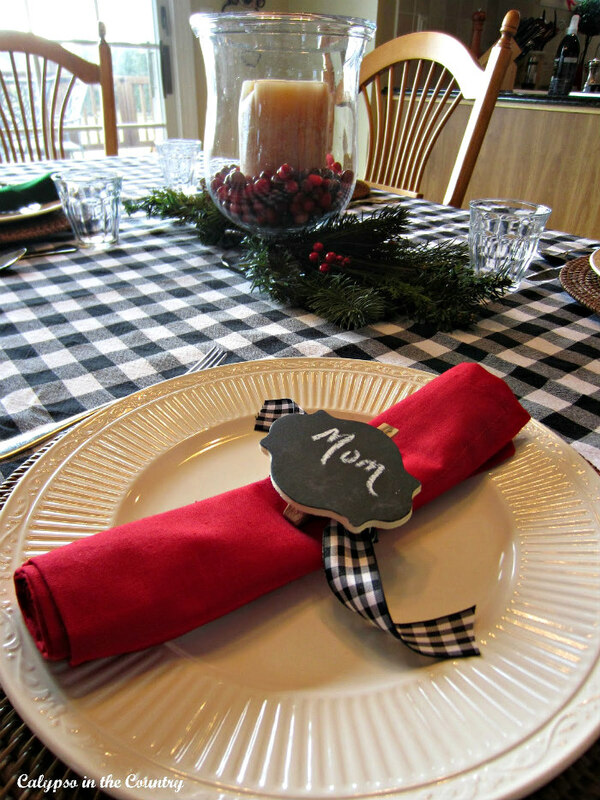 One of my favorites when it comes to Christmas are plaids, especially if they have a little gold running through them. Thanks so much, Karen! Plaids are definitely a favorite of mine too! Thanks for stopping by!